Mark Wilson is a scholar who has lived in Turkey since 2004. His aim is to promote the study of Judaism and Early Christianity within Asia Minor. 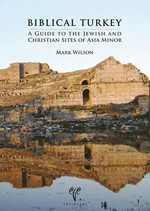 In his book, Biblical Turkey: A Guide to the Jewish and Christian Sites of Asia Minor, Wilson does a great job of compiling a comprehensive list of all the sites pertaining to Judaism, Old and New Testament sites, and extra-Biblical writings from early Christianity that have their setting in Asia Minor/modern-day Turkey. Along with site guides, there are many in-site features that help shed light on New Testament writings from an understanding of the land and the culture. Having just taken my own cultural insight trip to Turkey, I won’t rehash all that I have written about the trip. 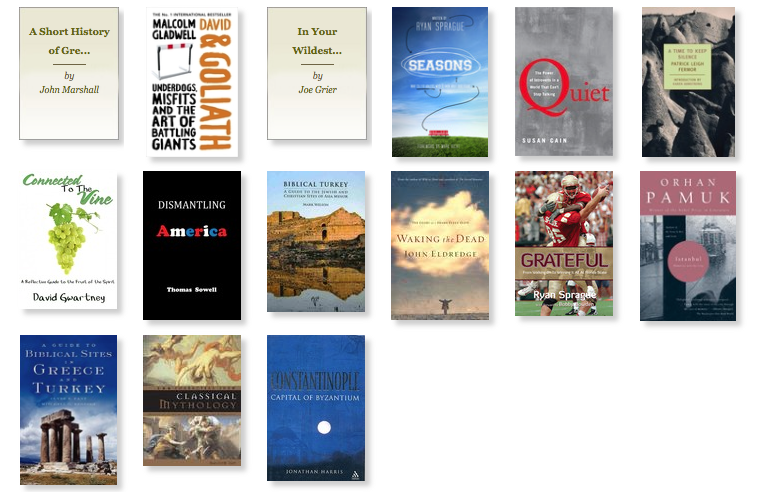 But you can go to the index page for a full listing of my posts from Greece and Turkey. As we look at the Bible, there are a number of references to Anatolian regions and cities in the Old Testament and Apocrypha, and two-thirds of the twenty-seven books in the New Testament were either written to of from Asia Minor. What follows is a list of New Testament books and how they were influenced by the region of Asia Minor/Turkey. John – early tradition has John living in Ephesus later in his life and thus the book of John was likely written from Ephesus. Acts – written by Luke and recounts Paul’s missionary journeys throughout Asia Minor. Additionally, many of the places of origin listed at Pentecost are located in Asia Minor, such as Cappadocia, Pontus, and Asia. 1 & 2 Corinthians – 1 Corinthians was written by Paul from Ephesus. While 2 Corinthians was not written from Ephesus, Paul does share a couple insights from his time in Ephesus in this letter. Galatians – written by Paul to the province of Galatia in Asia Minor/modern-day Turkey. Ephesians – written by Paul to Ephesus in the province of Asia. Colossians – written by Paul to the church at Colosse in the province of Asia. 1 & 2 Timothy – written by Paul to Timothy, who was now leading the church in Ephesus. Philemon – written by Paul to Philemon, who lived in Colosse. 1 & 2 Peter – written by Peter to the churches in Pontus, Galatia, Cappadocia, Asia and Bithynia, all in modern-day Turkey. 1, 2, & 3 John – written by the Apostle John and, like the book of John, were probably written from Ephesus. Revelation – written by John to the seven churches in Asia Minor.